A community-academic partnership between UW–Madison and community organizations is leading efforts in Wisconsin to improve infant health outcomes and eliminate disparities in African-American infant mortality. Currently, Wisconsin has one of the worst racial disparities in infant mortality in the nation. From 2011 to 2015, infants born to African American mothers in Wisconsin were nearly three times more likely to die before their first birthday than infants born to white mothers. Though efforts to prevent infant deaths in the past few decades have led to a decline in the overall infant mortality rate, these improvements have not reached all communities. The Lifecourse Initiative for Healthy Families (LIHF) is a strategic initiative funded by the Wisconsin Partnership Program at the UW School of Medicine and Public Health to address the root causes of disparities in infant health outcomes in Wisconsin. LIHF is guided by research showing that while access to high-quality health care is important, the foundations of a healthy pregnancy and baby are built long before a visit to the doctor – in home, school, work, and neighborhood environments — and long before a pregnancy begins. LIHF recognizes that for babies to be born healthy and stay healthy, mothers and families need to have access to quality health care and physical, social, and economic environments that promote health throughout their lifetimes. “Discriminatory policies and systems continue to impact the health of African-American women and their families. 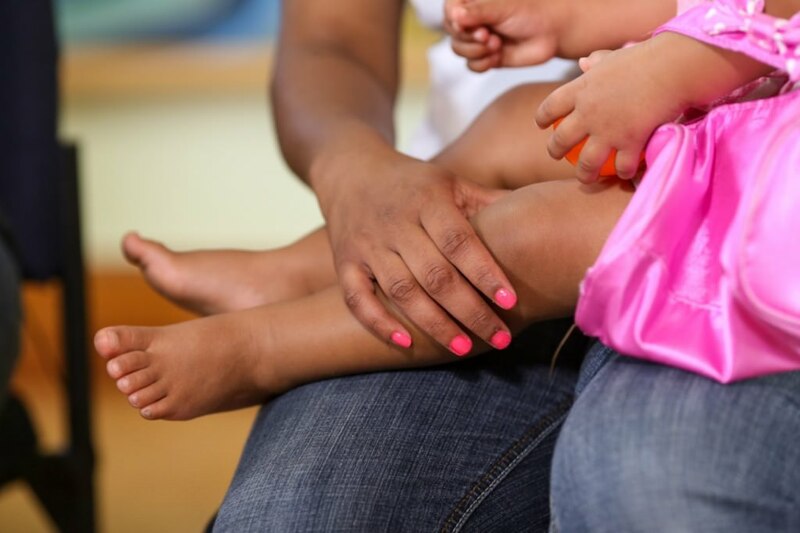 Research and experience show that African-American mothers in Wisconsin across all levels of education and income report high levels of stress before, during, and after pregnancy. There is a critical link between these experiences and disparities in infant health outcomes,” says Ehrenthal. LIHF is guided by a commitment to community-driven strategies to address the underlying factors that contribute to inequities in infant mortality. At the local level, action-oriented LIHF Collaboratives in Kenosha, Milwaukee, and Racine — where more than 80 percent of Wisconsin’s African American babies are born — lead the community-based activities of LIHF. The Collaboratives are led by agencies local to each of the counties: the Kenosha County Division of Health leads the Kenosha LIHF Collaborative; United Way of Greater Milwaukee and Waukesha County leads the Milwaukee LIHF Collaborative; and the Racine Kenosha Community Action Agency leads the Racine LIHF Collaborative. Members of the LIHF Collaboratives include community residents and leaders from non-profit, healthcare, business, public sector, and faith-based organizations. Each collaborative has an action agenda of local policy, systems, and environmental change priorities to support healthy birth outcomes for African-American families. Gina Green-Harris, director of the LIHF Program Office in Milwaukee, works closely with the LIHF Collaboratives to support their priorities. “The LIHF Collaboratives are bringing together many different stakeholders to build partnerships and implement their priority strategies in their communities. Our office is here to support those priorities and help the Collaboratives be as effective as they can be,” says Green-Harris. Kenosha LIHF has promoted access to the Earned Income Tax Credit for low-income families and improved navigation of mental health services for mothers and families. Milwaukee LIHF is working with local clinics to improve preconception and reproductive health care and coordinated a policy briefing for local lawmakers. Racine LIHF is pursuing systems changes to increase breastfeeding rates and improve adolescent health. The Collaboratives also foster discussions on issues such as discrimination in housing, employment practices, and incarceration — issues that are equally as important to the well-being of African-American families as access to quality medical care. Recent coverage of the Milwaukee LIHF Collaborative in The Nation explores the deep connections between racism and health outcomes. In addition to LIHF’s community-based work through the Collaboratives, LIHF provides leadership in statewide maternal and child health efforts. LIHF works with statewide partners to promote health care, public health, and social systems that will best support babies, mothers, and families. For example, LIHF works in partnership with the Wisconsin Department of Health Services to support maternal and child health program quality improvement efforts and data collection from new mothers about their experiences before, during and after pregnancy through the Wisconsin Pregnancy Risk Assessment Monitoring System (PRAMS). LIHF also leads a coalition working to enhance health care access for reproductive age women. These statewide efforts support and complement the critical work in LIHF communities. At the core of all of LIHF’s work is the knowledge that to close the gap in infant health outcomes, LIHF must bring people together to work in partnership across sectors.